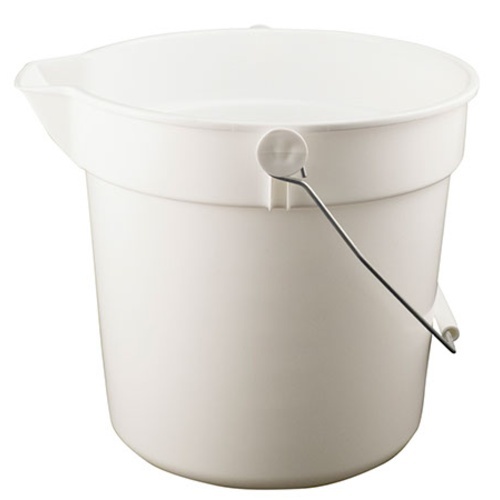 Our 10 quart pail with handle (wire bail) is a ideal for use when crushing and pressing grapes, as well as for general usage. It features a pour spout for easy transferring, and molded volume markers on the inside of the pail. It is small enough to fit under the spout of a grape press to collect pressed must, or for transferring grapes or fruit. Sold individually, case quantity is 12.